Prominent stag and community activist Simon Aldford has extended an invitation to cars to stop abruptly and in a swerving manor on the A87 between Invergarry and Kyle of Lochalsh. “Friends, there is much to be discussed” says Mr. Aldford of the large clearing surrounded by similar clearings. 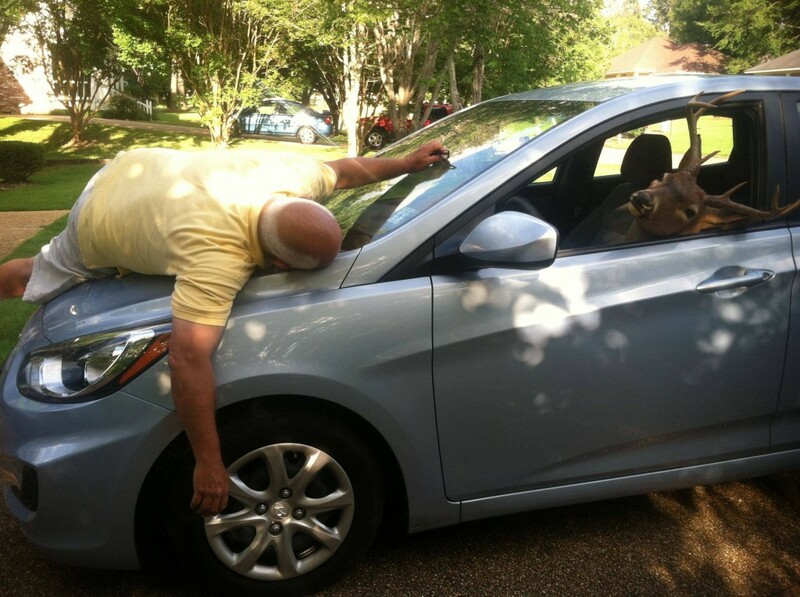 Deer in the area have been attempting to open up a dialogue with passing traffic by jumping through windshields and poorly written adverts in local newspapers. “For years we have watched the giant metal things race by and through our people with humans in their bellies”. “We see the suffering the humans put you through. We have grazed around many of your kind’s remains. The time has come to rise up against the human and his tweed caps and sticks that bring death”. “I doubt it would take long to overthrow most world governments given your terrifying speed, power and our extensive knowledge of the Glenshiel area”. “I dream of a day where deer and giant metal thing race through the glens moving down the soft human and his twatty cap”. Local goat populations appear to have declared support for the scheme though sheep populations have been reluctant to declare for either side to their vast and unfathomable stupidity.